Another week has begun and I have another competition for all of you lovely readers. I have one Little Us Doll to giveaway to one lucky reader, let me just tell you about these lovely new toys. Little Us is a brand new range of enchanting dolls, each one with her own unique personality. Which one is most like your daughter? Maybe it will be Chloe who likes everything pink, or Amelia who loves animals and reading, or perhaps it will be Ruby who’s just a little bit cheeky, or finally Millie, the tomboy of the group! 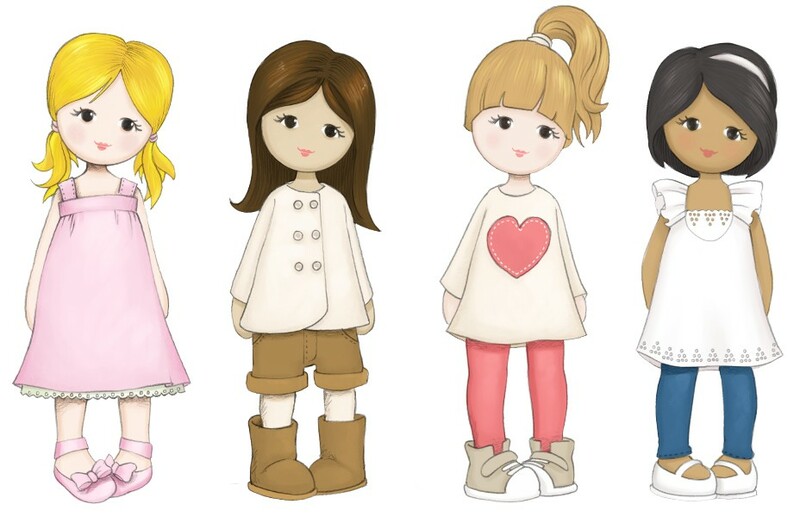 I love that each doll has it's own personality, I can match even them to one of my daughter's, Chloe would my Gracie, Amelia would be my Elise, Ruby would be my Layla and Millie woud be my Freya. You can read the Little Us stories and follow their adventures on their Facebook page www.facebook.com/LittleUsdolls. These dolls are available to purchase from Amazon RRP £9.99. If you would like to have a chance of winning one, just fill out the rafflecopter form below. The competition is open to UK residents only and will be finish at 11.59pm on the 7th of July 2013. Lovely! I would choose Amelia for you youngest daughter! Millie - for my little tomboy! My girls would love either Chloe or Millie! As my daughter Roxy is like Millie, while My daughter Charlie is more like Chloe! Beautiful dolls, they would be Adored in my house! :-) <3 Thanks! I would love chloe for my daughter! Chloe is my grand daughters name so I choose CHLOE!! My daughter is most like Millie so I would have to go with her, although its a hard choice as they are all so good!! Wow, my littles would love these. Going to see hwere i can buy thes ein the Netherlands. Chloe - for my daughter Chloe! Chloe would be my choice. chloe for my girlie girl! I'd love a Chloe for my pink loving grandaughter Chloe! Probably Chloe but it's so hard to choose lol, they're all lovely! they are beautiful! i think Amelia is just like my little one and even looks alike! My granddaughter would love Ruby. I'd love Chloe for my little girl, she would adore it. I think I'd have to choose Ruby or Millie as they are most like my Chloe! Ella would love a chloe!!! My daughter is a little Chloe, so that's who I'd pick. It has to be Chloe for our Grace if lucky. I think it would have to be Amelia, since she's most like my dd!